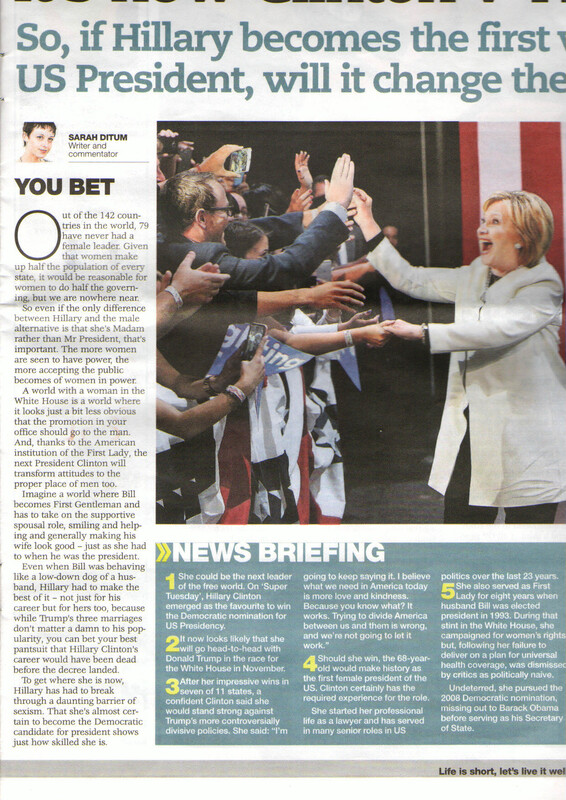 The New Day | So, if Hillary becomes the first woman US President, will it change the world? Out of 142 countries in the world, 79 have never had a female leader. Given that women make up half the population of every state, it would be reasonable for women to do half the governing, but we are nowhere near. So even if the only difference between Hillary and the male alternative is that she’s Madam rather than Mr President, that’s important.